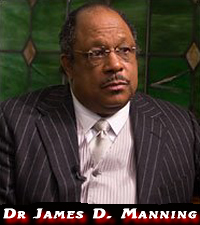 Dr. James David Manning hosts The Manning Report live broadcast, which airs Mon-Thur, 3-6PM EST. It seeks to offer the news behind the headlines on national and international issues that can be understood by the average man. It also provides biblical sound teachings that will help explain the many obstacles and dilemmas people are facing on a daily basis.